On Sunday, July 22, 6 stalwart Ipswich Rotarians descended on the Rowley Common. In just 5 short hours, this small band of magicians converted the 25 year old bandstand from a gray lady to a gleaming white princess. 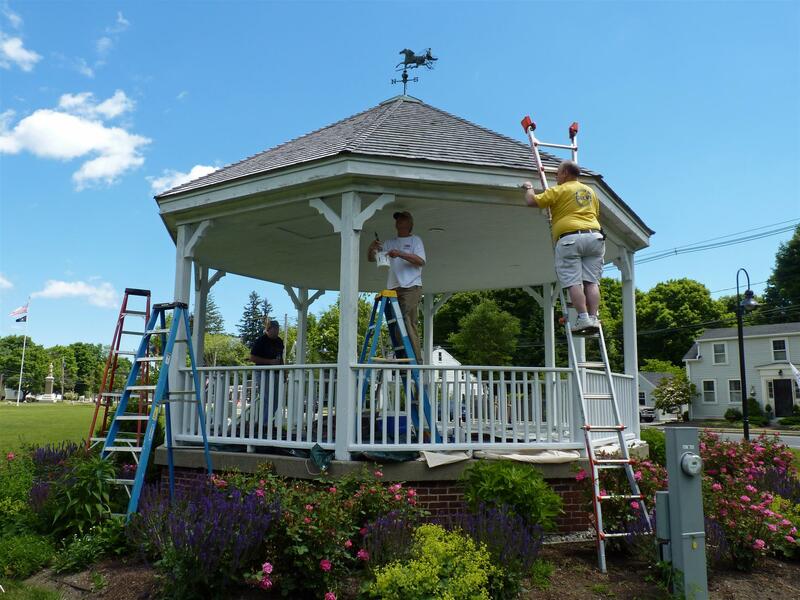 Led by Captain Doug Shealy, Rotarians Gerry Beauchamp, John Morris, Bill Nelson, Jim Tedford, and Bob Wicks patched, scraped, sanded, primed, and painted so that the citizens of Rowley will be able to celebrate their town’s 375th anniversary with pride. 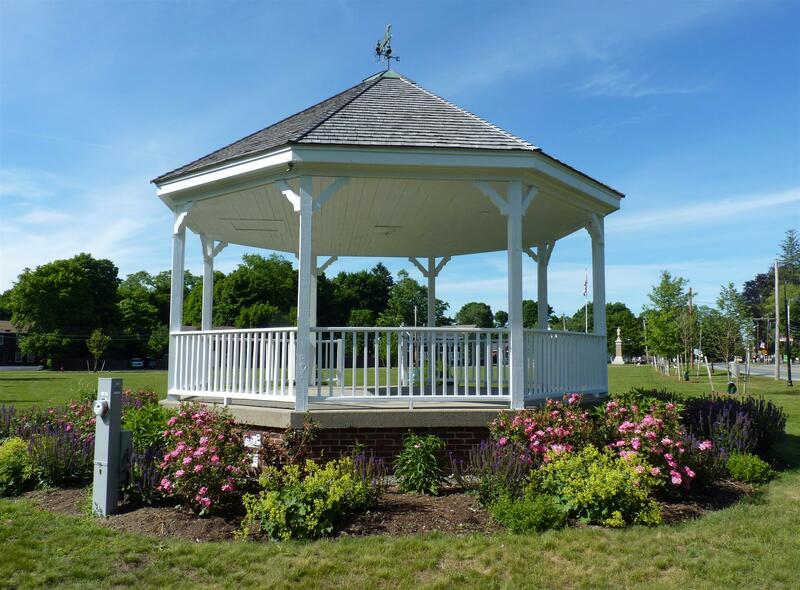 Concerts will be offered from the refurbished bandstand on the Common every two weeks throughout the summer. All materials for this project were generously donated by Tedford’s. 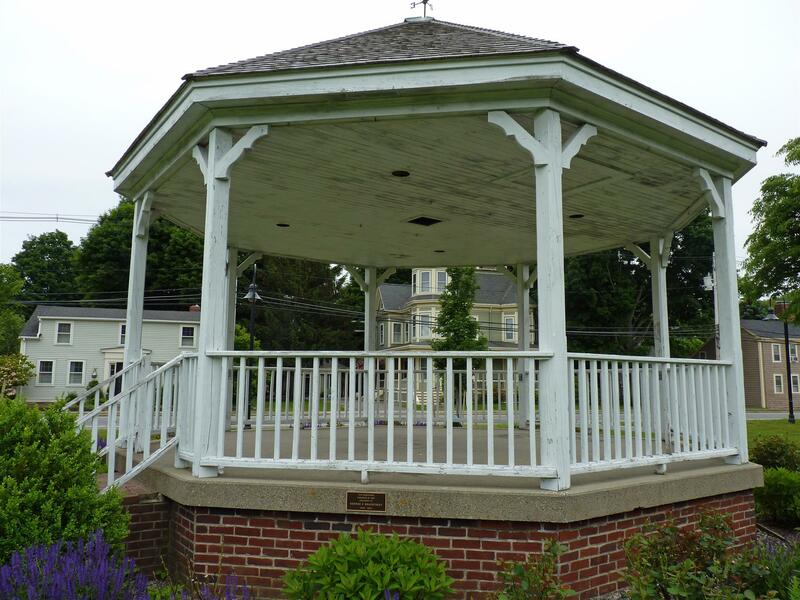 Phase Two, which includes a baseball backstop on the other side of the Common and a second finish coat on the bandstand ceiling, will be scheduled soon. 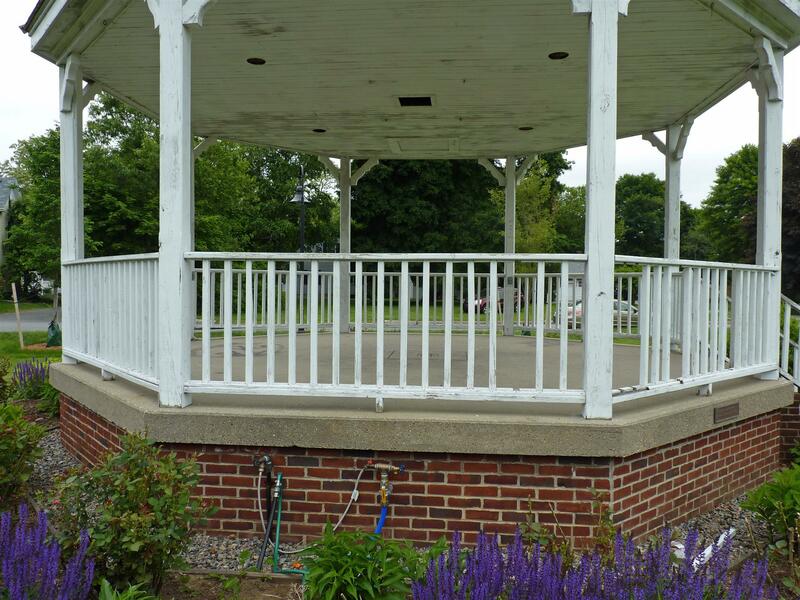 The following are photos of the bandstand before, during, and after the project.